Is there hope for FFB ? Oh this sounds good. Seriously it's about time they caught up with AC, PCARS and others in terms of FFB. If they have the suspension geometry modeled correctly then it should be straightforward. I really look forward to feeling the caster angle through FFB strength. New FFB, adjudication system, and collision assist are among the improvements I hope make racing with a wheel more competitive. Especially in tight packs where a dozen of minor bumps and shunts(if you're lucky, as we all know) can occur in the first few turns. It can be fairly easy to account for "rubbin is racin" with a gamepad. Not so much with a wheel, which generally makes it quite a chore, a tiresome chore. Well isn’t this great news! It has been more fun to drive with a wheel but it just isn’t as competitive as a pad because of the lack of feedback. Sure you can drive very fast with a wheel but the amount of practice needed is 10 times more than with a pad at the moment. I can't race with a pad. My brain isn't wired that way, I didn't feel like "training" it that way, and I got the game for the semi-sim aspect, which is kinda moot for me (immersion wise) with a pad. With the gamepad super steering aid, which always steers to max lateral force, I don't think the wheel user would be competitive even with new feedback. I mean, with the new feedback, you'd still need to feel the force and adjust accordingly. Whereas with the pad you just push to max. I don't "train" with the gamepad control either because it's so pointless. Every game designer comes up with a new gamepad routine, and it never translates across games. What's the point of getting good with one designer's invention which has nothing to do with any other racing game, and nothing to do with reality? If they revamp the whole FFB system, then likely the current UI will be discarded, which is great. The current UI makes no sense at all. And we really shouldn't need to adjust so many things. I didn't need to adjust anything playing AC or PCARS2. For those who didn't watch the latest Forza Monthly. Here's where the Physics in Forza 7 are discussed. But yeah, Dust. I agree with the gif you posted. I'll reserve judgement when the update happens and I have it installed in my game. I agree. It looks ghetto when FRC uses controllers and GT Sport uses wheels. I haven’t tried FM7 yet, so how is the FFB on Xbox? Now that it’s on pc it’s harder to decipher who’s playing on what. I don’t really want to buy it unless there is improvement on FFB on counsel. I think theres been a big improvement over FM6, however there still is work to be done and they are going to be revising the entire system again in the near future. FFB isn’t perfect but to me, its usable. Thanks for the reply, maybe I'll rent it first. Really not sure if I want to invest in another empty promise. I just hope they are not going to divide the systems PC for wheel users, Xbox for Pad users. If so, Blue028 called it last week. Im telling you, they wont ever fix it because their priorities are backwards. For some crazy reason I keep being optimistic, but I agree that the priorities are not where the core fanbase would like them to be. Correct me if I am wrong but you just got your wheel in the early stages of FM7. How can you say there is a huge improvement? Did you go back and try fm6 just for the sake of testing the ffb? I've been playing FM5 this week, was playing FM6 and 7 trying to up my rewards score, and I can see the improvements being fresh out of each game. But as always there is much room for improvement still. Just figured I'd throw my 2 cents in. I got my first wheel at the beginning of FM6 and it made me want to throw my wheel out the window. Thankfully, I persevered and repaired my PC so I could drive Assetto Corsa. If not for that game, I would have reverted to controller. 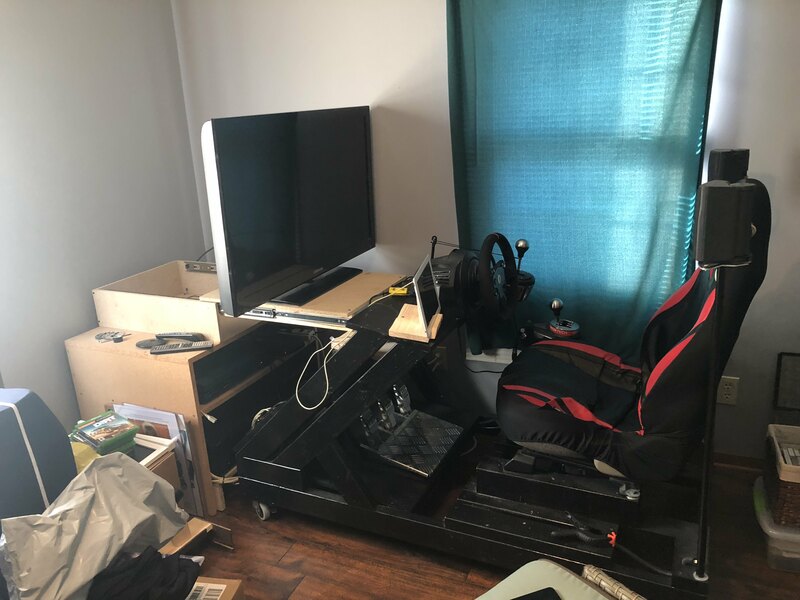 I've now got a full Fanatec Clubsport setup, a full Next Level Racing rig with triple monitors and I'm super happy with it. 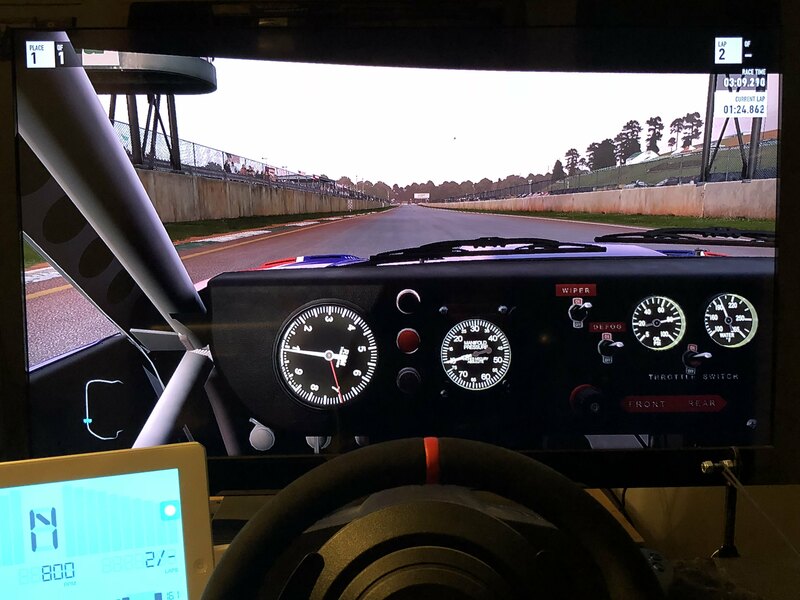 I haven't revisited FM6 with the Fanatec, but with FM7 on PC and yes, I will extend to FH4 as well, are actually enjoyable but flawed experiences with a wheel. Better than anything that came before, but still a bit below par. I found a local guy that had a used copy for sale pretty cheap on FB so I decided to buy it . I like it better than FM6 and as many have stated it still needs improvement, but I must say for some reason it's kinda brought me back to the FM4 days. Maybe because they brought back Maple Valley(love it). I have been getting some enjoyment out of it in Rivals, hopefully i will get my money's worth. I really don't think it will get much better than this, with every new installment there's always some sort of thread about FFB and wheels . Those thread are always one of the most viewed and responded to threads in their respective forum and they still don't get it, at least not on the xbox. I think by the time they do get it right or closer(if they would at all) it will be time for the next gen counsel and they will have to start all over again. 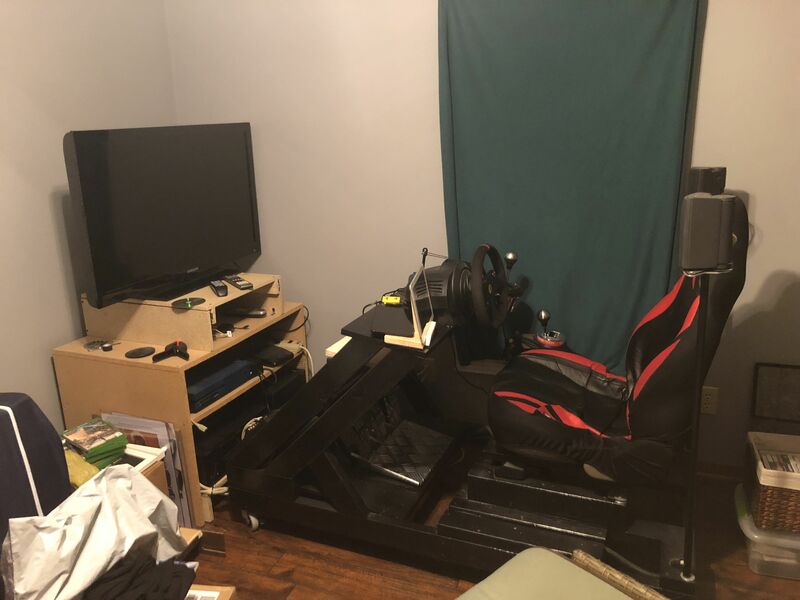 I got the wheel a month to a month and a half or so before FM7 launched and set it up running FM6, Dirt Rally, and F1 2016. The demo FM7 demo FFB was awful as we all know, but the game to me is a big improvement over FM6. Core road feel is Forza's biggest downfall when it comes to FFB I believe. You can't really feel anything in the suspension. Three in formation seems to rely solely on whether the front ties have grip or not. F1 2018 improved the FFB from F1 2017 and the biggest improvement I noticed was the feel of the car bottoming out. In Forza, no effect is present. Then again the physics of bottoming out in Forza is extremely flawed anyway, so unless that's improved it'd have to be a canned effect. Agreed, I have a buttkicker 2 and there is really no reason to have it on in Forza. @Recar: Do you use that with an Xbox One, and if so, how do you get it to function? @Evan: Yeah they could use some more actual road vibration or road to wheel movement. I'm looking at upgrading my F1 2016 to F1 2018 next week on Black Friday since I've heard from multiple people that the FFB is much improved. With F1 2016 I had to set the wheel weight all the way up to avoid oscillations on wet tracks.